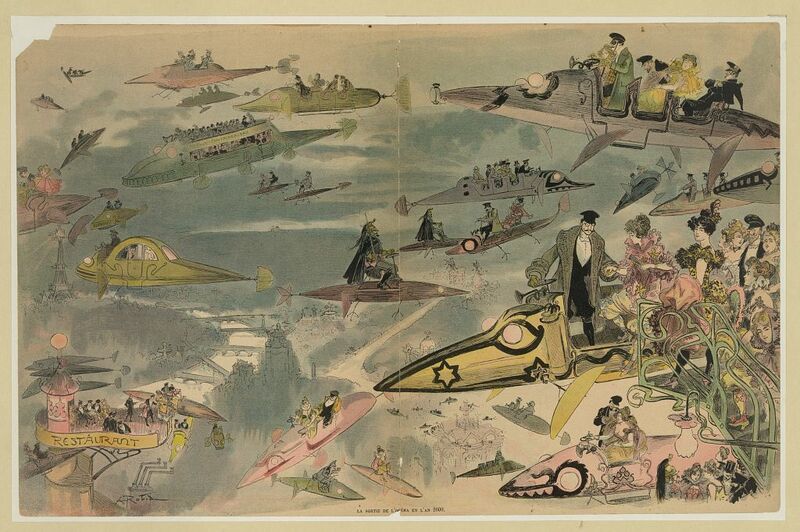 The French artist and novelist Albert Robida is one of my favourite writer-illustrators from the late 19th and early 20th centuries, not least for his fantastical visions of a future Europe represented in a trilogy of “scientific romances” called Le Vingtième Siècle (1883), La Guerre au vingtième siècle (1887) and Le Vingtième siècle – La vie électrique (1890). He’s largely forgotten now, overshadowed by the likes of near contemporaries Jules Verne or HG Wells, which is a great shame because in many ways he was more advanced in his technological and social thinking than the latter two. However there are some who still keep his memory alive though a collection of his artworks has yet to be published (if you know of one drop me a message as I will be the first in line to make a purchase). From 2008 to 2013 the British Science-Fiction writer Brian Stableford translated a number of Robida’s adventure books for Black Coats Press, a small publisher in the United States that has specialised in French-related materials. By all accounts they are quite wonderful, albeit in a retro sense (if you enjoy Edgar Rice Burroughs or Robert E. Howard then you will probably enjoy these). Since they are available as ebooks I’m tempted to purchase one or two myself (most are available in the original French via Project Gutenberg or similar, though of course the formatting may not be as good).